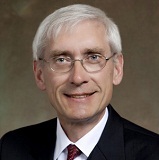 MADISON – Governor Tony Evers today announced that his budget will include proposals to legalize medical marijuana, decriminalize possession of small amounts of marijuana for personal use, establish an expungement procedure for individuals who have completed their sentence or probation for possession, and align Wisconsin’s laws on cannabidiol, also known as CBD oil, with federal standards. 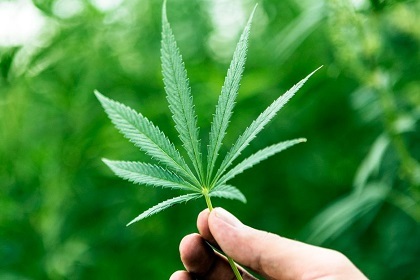 The governor believes it is time for Wisconsin to join more than 30 other states and the District of Columbia in legalizing medical marijuana. Last year, nearly one million voters in 16 counties and two cities in Wisconsin voted to approve non-binding referenda asking if marijuana should be legal for medical or recreational use. These referenda all passed by significant majorities. Under the governor’s proposal, a physician, or a practitioner under the direction of a physician, can recommend the use of medical marijuana to alleviate symptoms related to medical conditions such as cancer, glaucoma, post-traumatic stress disorder, chronic pain, severe nausea, and seizures. The governor will also align Wisconsin’s laws on cannabidiol, also known as CBD oil, with federal standards. CBD oil is made from marijuana and can be used to treat seizures in children. Currently, Wisconsin law requires families to possess CBD oil only with yearly certification by a physician. The governor believes that families and individuals should be able to obtain this treatment without additional barriers. Reforming Wisconsin’s marijuana laws to align with the people’s support for medical marijuana is an important part of the governor’s plan. But so, too, is addressing the social and racial justice aspect of marijuana use. Wisconsin has the highest incarceration rate in the country for Black men, and drug-related crimes account for as many as 75-85 percent of all inmates in our prisons. That is why the governor will also decriminalize possession, manufacturing or distribution of marijuana for amounts of 25 grams or less. This language would also prevent localities from establishing their own ordinances or penalties for possession of less than 25 grams of marijuana. The governor’s plan will also establish an expungement procedure for individuals convicted of possessing, manufacturing or distributing less than 25 grams of marijuana who have completed their sentence or probation.